SUNRISE, FL – March 21, 2018 – U.S. Stem Cell, Inc. (OTC: USRM), a leader in the development of proprietary, physician-based stem cell therapies and novel regenerative medicine solutions, today announced it has published in the scientific literature that it has successfully demonstrated a 99 percent reduction in-human of the severity of psoriasis using a patient’s autologous stem cells. The scientific paper, which is authored by USRM Chief Science Officer Dr. Kristin Comella and her USRM colleagues, is published in the International Medical Case Reports Journal, 2018:11 59-64. To the best of USRM management’s knowledge, this is the first result in the world published using stromal vascular fraction (SVF) and autologous stem cells in the successful treatment of psoriasis. Stromal vascular fraction (SVF) is a mixture of adipose-derived stem cells/mesenchymal stem cells, endothelial/progenitors, pericytes, fibroblasts, and other cells) obtained from a patient’s own fat tissue. Approximately 60 mL was collected under local anesthesia via a mini-lipoaspirate procedure, which was then separated from the adipocytes via centrifugation after utilizing USRM’s AdipocellTM kit to apply enzymatic digestion. The cells were then resuspended in normal saline and injected via intravenous bolus push. The subject was monitored over a period of 12 months, and demonstrated no safety or adverse events. The subject demonstrated a significant (99%) decrease in symptoms with a noticeable difference in skin quality appearance. Psoriasis area and severity index score went from 50.4 at baseline to 0.3 at 1 month follow-up. Overall, the subject reported improved quality of life and willingness to continue treatments. This successful initial case study demonstrates that this may be a feasible treatment plan for patients suffering from psoriasis. In this scientific paper, Dr. Comella et al. describe the rationale and, to their knowledge, the first clinical implementation of SVF intravenously in a patient with severe psoriasis. Psoriasis is an autoimmune disease affecting 2 percent of the population worldwide and approximately 7.5 million people in the United States1. Psoriasis patients present with erythematous scaly well-defined plaques, with the scalp, knees, elbows, hands, and feet being the most commonly affected areas.2 Approximately 20% of psoriasis patients present with moderate to severe psoriasis, with more than 5% of the body surface affected. Fifteen percent of patients with psoriasis will develop psoriatic arthritis, occasionally with joint complaints such as dactylitis, sacroiliitis, enthesopathy, and spondylitis, occurring before cutaneous psoriasis. This condition can cause joint destruction due to the chronic inflammation. There are also significant comorbidities associated with psoriasis, including a 58% risk of cardiovascular disease and 43% increased risk of stroke. The risk of diabetes is 30% higher in patients with severe psoriasis. Multipotential/Mesenchymal adult stem cells (MSCs) are currently being studied by USRM in a variety of diseases and injuries. MSCs can be found in many tissues throughout the body and are thought to play a critical role in a patient’s healing cascade. When MSCs are placed into culture or in vitro, they demonstrate an ability to differentiate on several different tissue pathways. MSCs are part of the body’s natural healing mechanism and as such represent a potential therapy in a variety of diseases, including having immunomodulatory properties and stimulating a healing response by reducing inflammation. For this reason, MSCs may be beneficial for patients experiencing excessive inflammation, as is present in autoimmune diseases like psoriasis. Dr. Comella, who has more than 20+ years’ experience, is recognized worldwide by her peers as an innovator and world leader in the development and clinical practice of stem cell products and therapies. She has also been instrumental in developing and bringing to market USRM’s proprietary AdipocellTM product, a stem cell kit which enables physicians to separate potent stem cells from a patient’s own fat, a naturally occurring tissue in the body which happens to contain a robust supply of stem cells. 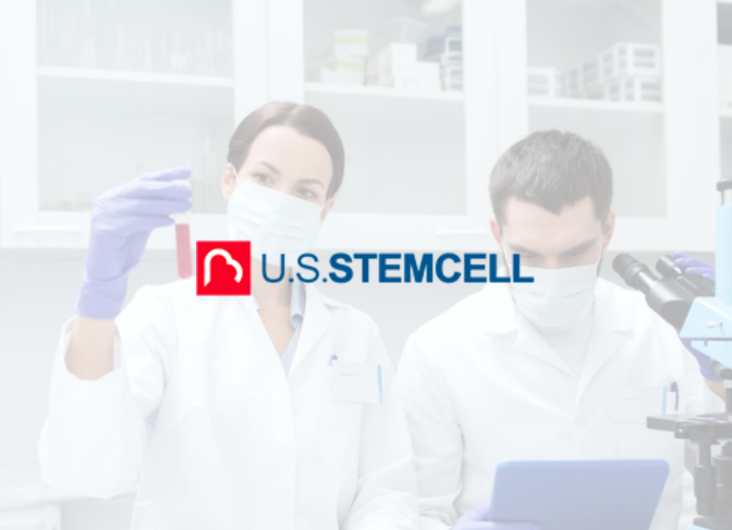 USRM has been involved in more than 10,000 stem cell procedures in the past 19 years for a variety of indications including orthopedic, autoimmune, degenerative and neurological diseases. 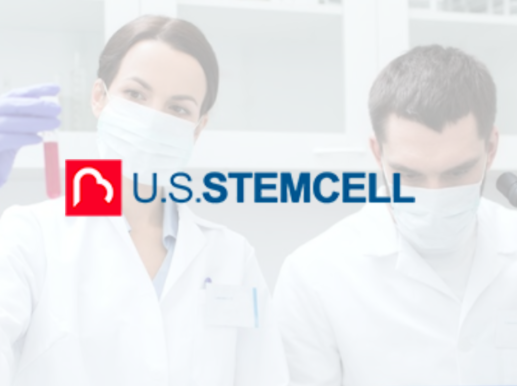 USRM also trains and certifies physicians in stem cell therapy — to date, more than 700+ physicians worldwide — and has engaged with more than 287 clinics. U.S. Stem Cell, Inc. is an emerging leader in the regenerative medicine / cellular therapy industry specializing in physician training and certification and stem cell products including its lead product AdipocellTM, as well as veterinary stem cell training and stem cell banking and creation and management of stem cell clinics. To management’s knowledge, USRM has completed more clinical treatments than any other stem cell company in the world. 1 Rachakonda TD, Schupp CW, Armstrong AW. Psoriasis prevalence among adults in the United States. J Am Acad Dermatol. 2014;70(3):512–516. 2 Helmick CG, Lee-Han H, Hirsch SC, Baird TL, Bartlett CL. Prevalence of psoriasis among adults in the U.S: 2003–2006 and 2009–2010 national health and nutrition examination surveys. Am J Prevent Med. 2014;47(1):37–45. Forward-Looking Statements: Except for historical matters contained herein, statements made in this press release are forward-looking statements. Without limiting the generality of the foregoing, words such as “may”, “will”, “to”, “plan”, “expect”, “believe”, “anticipate”, “intend”, “could”, “would”, “estimate”, or “continue”, or the negative other variations thereof or comparable terminology are intended to identify forward-looking statements. Forward-looking statements involve known and unknown risks, uncertainties and other factors, which may cause our actual results, performance or achievements to be materially different from any future results, performance or achievements expressed or implied by the forward-looking statements and represent our management’s beliefs and assumptions only as of the date hereof. Except as required by law, we assume no obligation to update these forward-looking statements, even if new information becomes available in the future. The Company’s business and the risks and uncertainties of the business are described in its filings with the Securities and Exchange Commission which can be found at sec.gov. Copyright © · U.S. Stem Cell, Inc. All Rights Reserved.